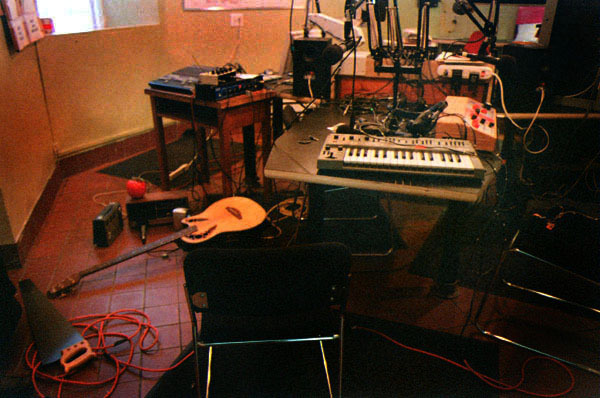 Every Tuesday in June from 3-5pm, will be dedicated to live in studio performances, unreleased material, dj mixes, and prerecorded sets by local and visiting musicians playing the 10th annual Suoni Per Il Popolo Festival. A Montreal double header of synthesis, sequence, sample, hold and sustain will resound on June 1st , Grimes and Drainolith performing their respective ethereal and indented saw tooth sounds live in studio. June 22th will feature a premiere for ckut’s airwaves of Aki Onda’s first cassette release : First Though, Best Thought, A home recording by Montrealer Leon Lo, and unreleased recordings by Talibam! June 29th live recording of Grouper’s set from her concert at the casa on june 08th, rare recordings from members of pocahaunted and a dj mix by Oneohtrix point never. This entry was posted in CKUT programming and tagged Aki Onda, Bernardino Femminielli, Christof Kurzman, CKUT 90.3FM, Didi Bruckmayr, Drainolith, Dreamcatcher, Grimes, Grouper, Michaela Grill, Nimalan Yoganathan, NTSC, Oneohtrix point never, Pengo, Pochahaunted, Radian, Rebecca Foon, Steve Bates, Suoni Per il Popolo, Talibam!, The Montreal Sessions on June 1, 2010 by admin.